My Modo ability is good and my character modeling in Modo isn’t too shabby either. But with Zbrush I definitely need some practice, my main reason for not delving into Zbrush to much was not being able to transfer the model to Modo in a reasonable poly count, for rendering. That however is a thing of the past. I still have the last video to watch, however, I’m not much into post processing 3D work. Yes, thats a little daft as I process all my photos. But I will make time to see it. The tutorial is quite lengthy, but and it’s a very big but, the content is excellent. My initial impression was that there was a lot of back and forth, but looking again from about midway through it’s not, it’s just a methodical way of working. 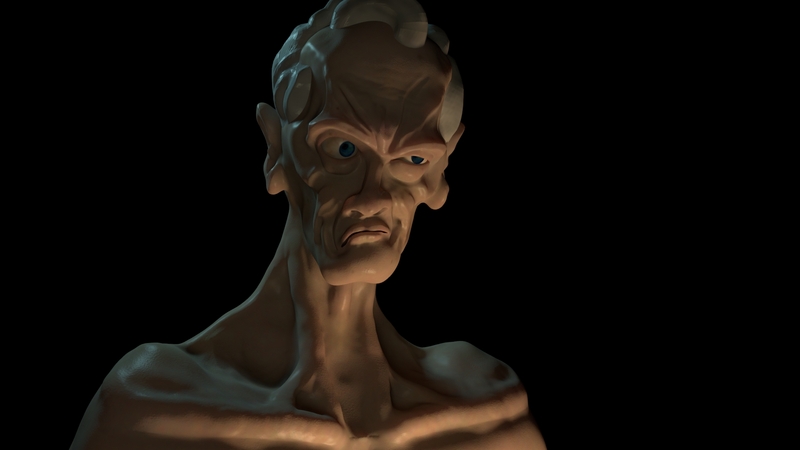 Don’t get me wrong making a 3D character with the level that Henning and Morten are showing takes time. I can knock up a reasonable box model in a few hours, but the added detail here will take 4, 5 or even more times longer. 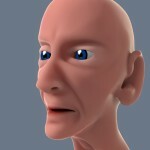 Henning shows the process using Modo 901, I’m on 801 and managed to follow along with ease. There are a couple of newer tools / processes he uses but nothing that can’t be followed on 801 and I would suspect earlier versions as well. Now if you take the time to read the ‘Who’s it for’ information, as I did, you’ll be pleased to know its spot on. I would say you need to know the basics of both the software interfaces and have at least a simple working knowledge. But then if you’re looking for this tutorial you probably already do. Another thing I like is that if they don’t like something they say they don’t like it and give a reason for it. Not to say something is bad, but to say I’d like it if X did Y. But then they work around it, no complaining / winging, they just get on with the job at hand. Although not a sculpting tutorial there is plenty to watch and pick up on, but don’t expect a walkthrough of doing X,Y and Z. There is a ton of information in there and I’m sure I’ll need to watch some parts again to remember them, but if your in the need of a Zbrush to Modo tutorial (actually you could get a lot out of it if your in the need of a Zbrush to ‘something else’ tute) it’s a must buy. So here’s the guy I made following the tute, I wasn’t copying what Henning was doing stroke for stroke, but I did follow the process. Next time I’ll make a better retopo mesh and spend more time sculpting the finer details, but to be honest I rushed to finish. Which is always a bad thing. However, still a lot better that I would of done before the tute.